Angelo Mangiarotti was born in Milan, Italy on February 26, 1921. He died on June 30, 2012. He became an architect in the early 1950's after graduating from The Polytechnic University of Milan in 1948. One of his statements was "Happiness Comes from Correctness". 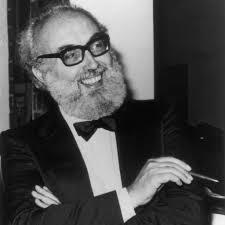 He was internationally known for producing works that were known for their excellent design. Mangiarotti was an architect, a designer and a sculptor. From 1986 to 1992 he was art director of the Cristalleria Colle. His daughter continues in the tradition. We are proud to have several pieces by this great designer or MODERNISM.COM.